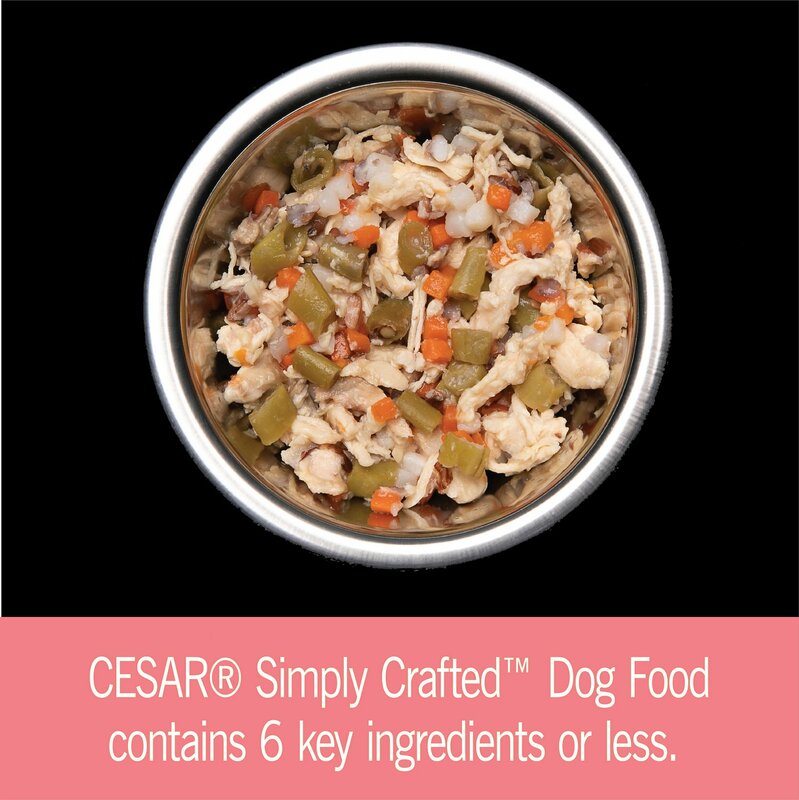 Add the delicious taste of real meat to your precious pup’s next meal with Cesar Simply Crafted wet dog food topper. 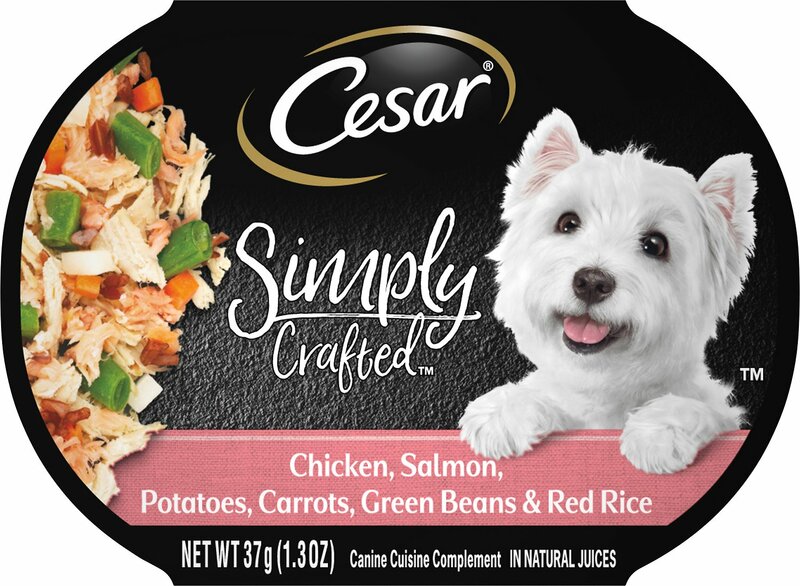 Made with real chicken, salmon, potatoes, carrots, green beans and red rice, this simple, wholesome topper will add paw-sitively irresistible variety to your dog’s dry kibble. Crafted with real foods and nothing else, it contains no artificial colors, flavors, fillers, or preservatives. And, it comes in convenient tubs with no-fuss, peel-away freshness seals, so it’s easy to unlock more shared moments of joy between you and your furry friend. 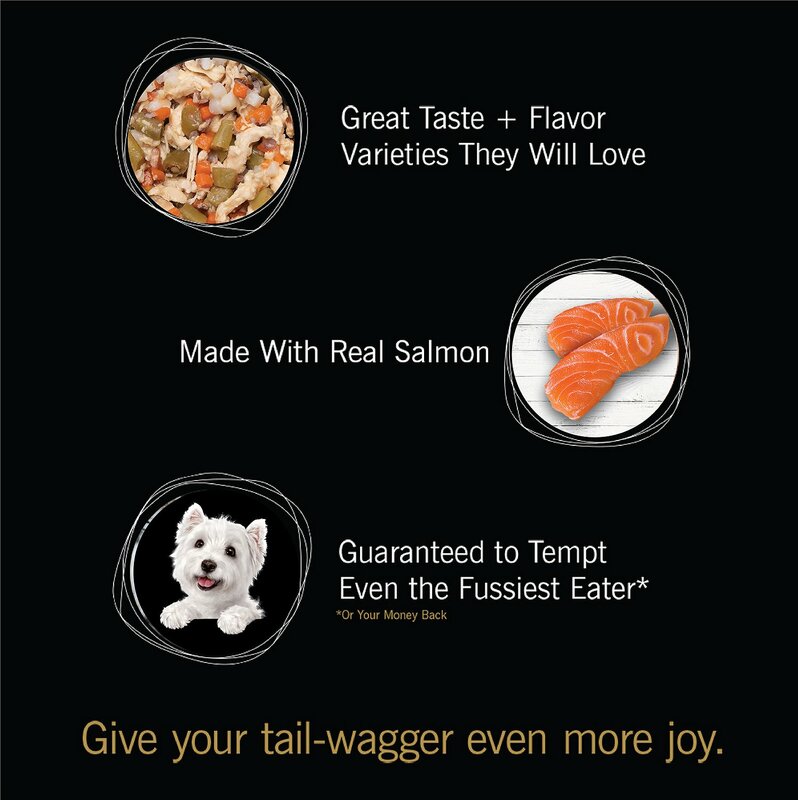 Simple, wholesome topper adds irresistible flavor and variety to your pup’s regular food. 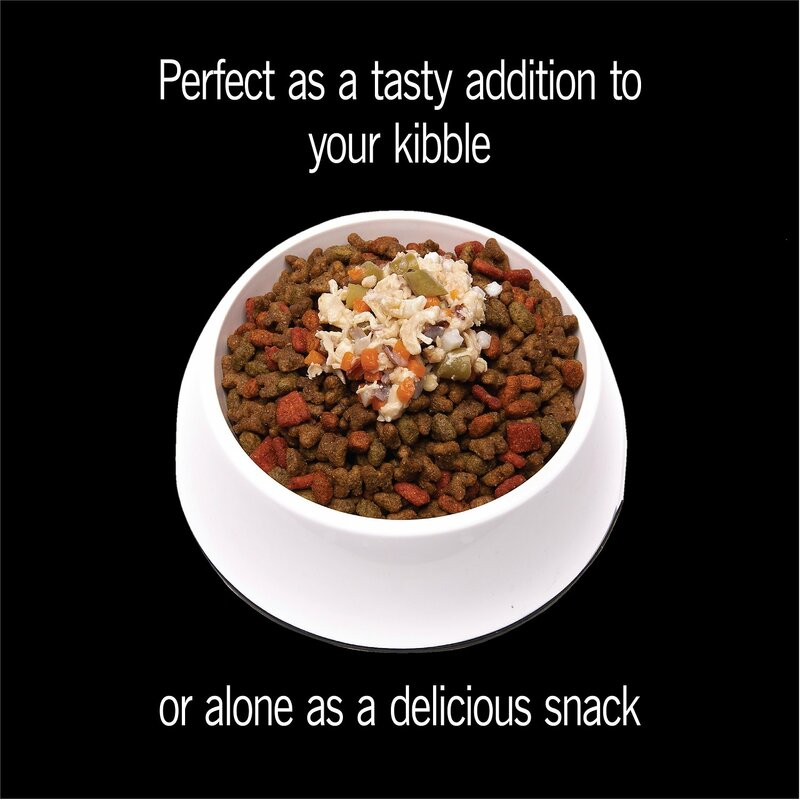 Helps entice a picky pooch to eat his regular kibble, and provides an additional source of hydration. Made from 100% real chicken and salmon for a meaty taste he’s sure to love. No artificial colors, flavors, fillers, or preservatives–just simple, whole food ingredients you know and trust. Convenient tubs feature no-fuss, peel-away freshness seals that are fast and easy to open. Feed up to one tub each day per 15lbs of dog. My little guys had gotten fussy about food lately so I decided to try this. They love it added to their dry kibble! That's how I stretch it out and it's not so costly. They're eating everything and getting some great stuff in there. The best food topper hands down! My dog likes his Blue Buffalo kibble but loves it with the topper. I give this to him with his dinner. He licks the bowl clean! The ingredients are truly simple which is the main reason I bought it and I’m happy he likes it. My two dogs love the toppers and it helps them to eat the small amount of dry I add with the toppers. My Cavvy is extremely picky. He loves these toppers and I love they have minimal ingredients and the portions are perfect for just an added treat at mealtime. My dog loves the salmon. We have tried all the chicken flavors and she is a big fan of them too. My dog hates liquid meds. This amount of food with liquid broth and meds added, she can't tell the difference. I think this might be the best product they have made... my dog loves it.